tourtiere a borrowed tradition | eating with S.O.L.E. 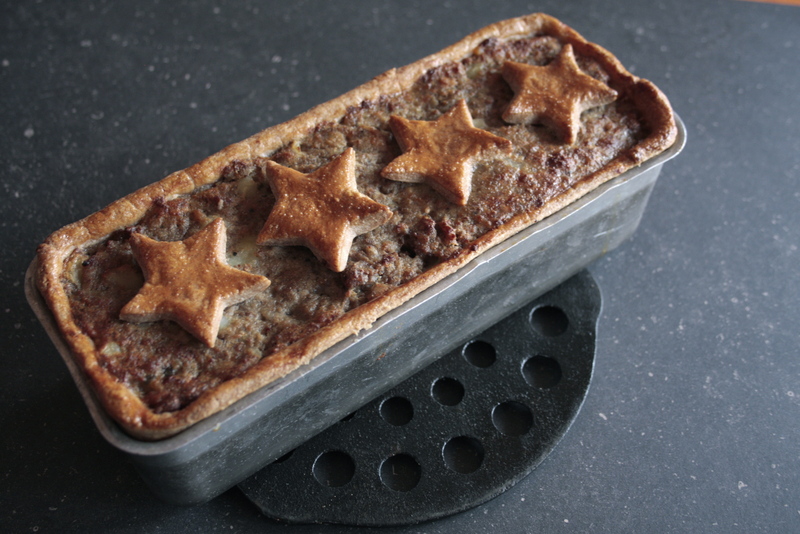 Having never eaten tourtiere before in my life, I truly have nothing to compare my dish to, but I did get the thumbs up from many more experienced tourtiere lovers. I made a whopping batch which included 48 tiny hand pies to be served as appetizers at our holiday party, and then decided to create a breakfast pie for our Christmas morning. I had the idea to hard boil a few eggs, and set them into the meat filling. I adorned the terrine festively and par baked it the day before. In the morning I finished baking it off and we enjoyed a rich and luxurious breakfast. Use your favorite pie crust recipe (I made a double batch). Also add 2 bay leafs, and a Tbsp of summer savory and a pinch of hot chili flakes. S+P. Once the meat is cooked add in 3 large potatoes cut into fine cubes. Simmer over medium low heat until the potatoes are tender. Taste and season as needed. Allow filling to cool entirely (even overnight) before filling pies. If your keen on my break fast idea. 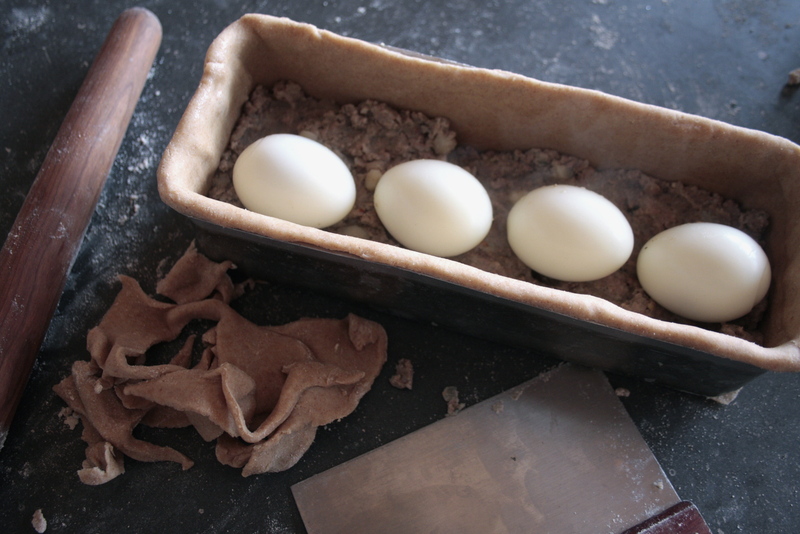 Arrange hard boiled, peeled eggs in the middle of the filling, then bake until your dough is set. Serve with green tomato ketchup and pickled beets. Bon Appetit!